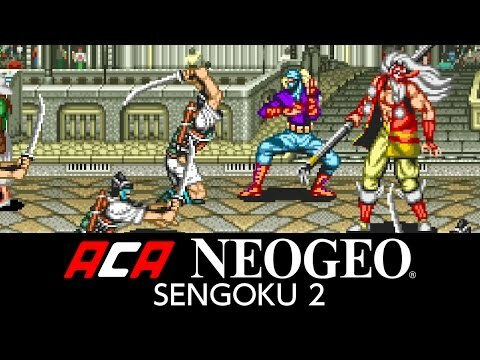 “SENGOKU 2” is a side scrolling action game released by SNK in 1993. Take on the role of a warrior summoned by a shrine princess, and fight over various historical periods in order to defeat the dark monarch. “SENGOKU 2” is a side scrolling action game released by SNK in 1993. Take on the role of a warrior summoned by a shrine princess, and fight over various historical periods in order to defeat the dark monarch. Players can enjoy new tactical features such as charge attacks and defensive abilities.